Flash & Supergirl Team for Variety Cover; Is a TV Crossover Happening? Supergirl made quite a splash last week when it finally revealed it's first trailer, an extended 6 minutes of DC action that pleased fans and critics alike. It was followed by a theatrical style trailer that only continued the excitement. 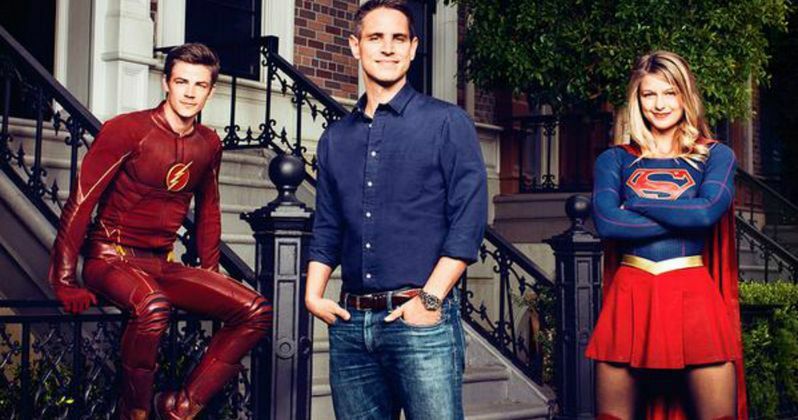 Now, we get Melissa Benoist as Kara Zor-El on the cover of this week's Variety, and she is joined by producer Greg Berlanti and none other than The Flash star Grant Gustin. Does this mean a small screen crossover for both heroes is in the works? "The network has said publicly at this point they're going to keep her to themselves. I always approach the shows as a fan first, so I would love to see (a crossover). I think in success, all things are possible. But there's a lot that would have to happen before everybody might say yes to that."